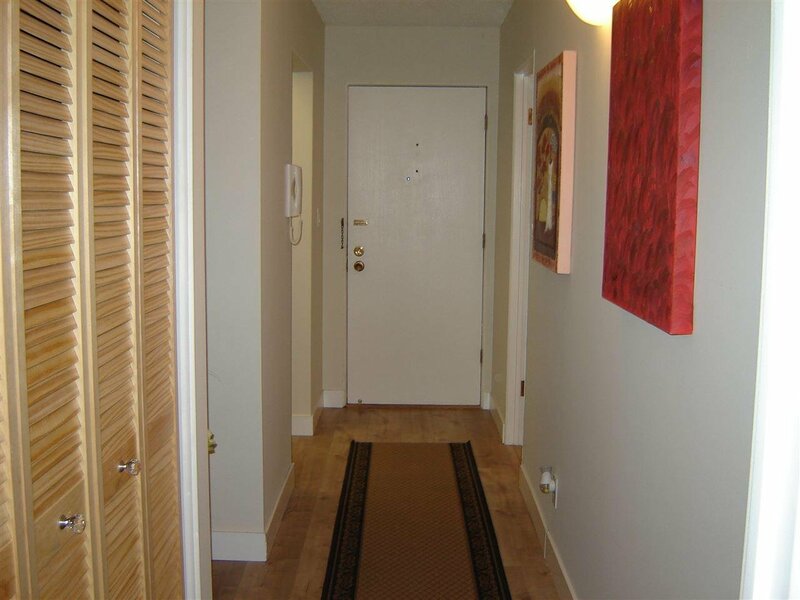 Top floor totally renovated condo on quiet side of building. 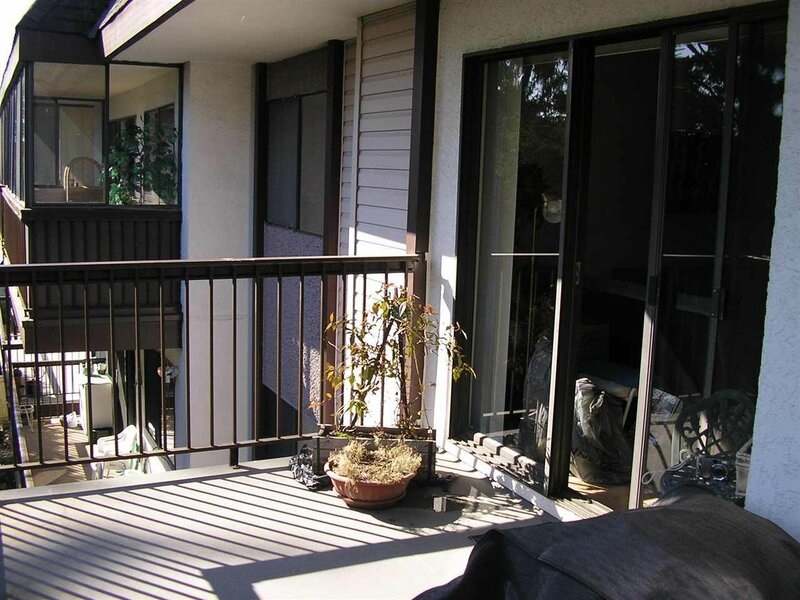 Large private balcony to enjoy a sunrise in the morning and barbeques in the evening. 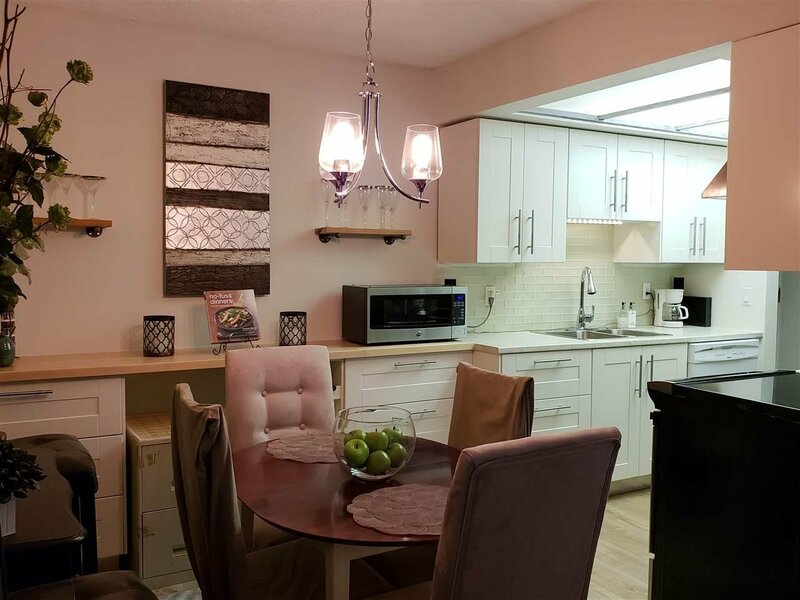 Beautiful laminate flooring, stainless steel appliances, white shaker kitchen cabinets all brand new with a renovated bathroom which is move in ready. 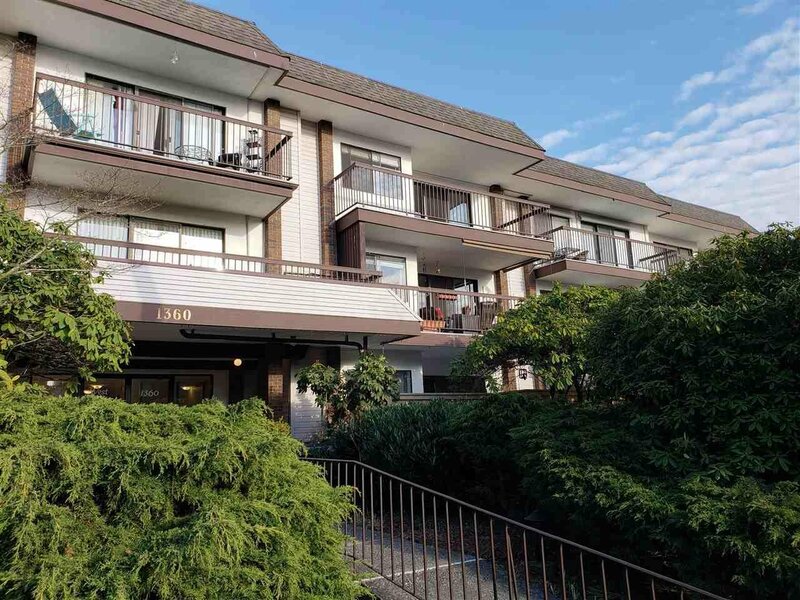 Close to transit, shops, restaurants and White Rock's beach and pier are nearby which makes this a great place to call home. 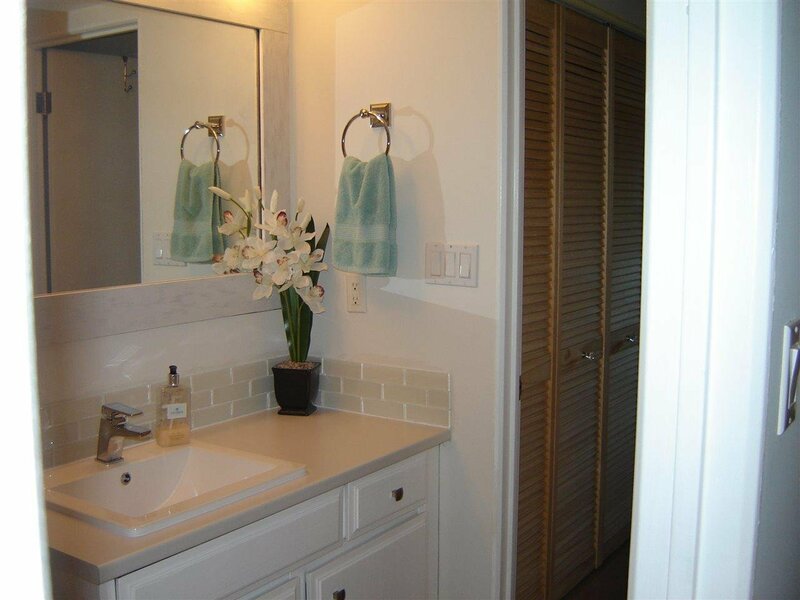 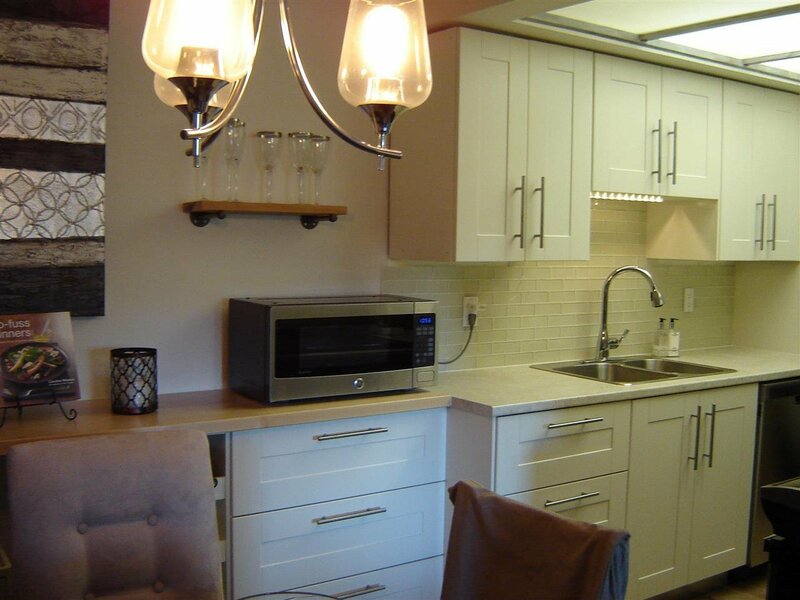 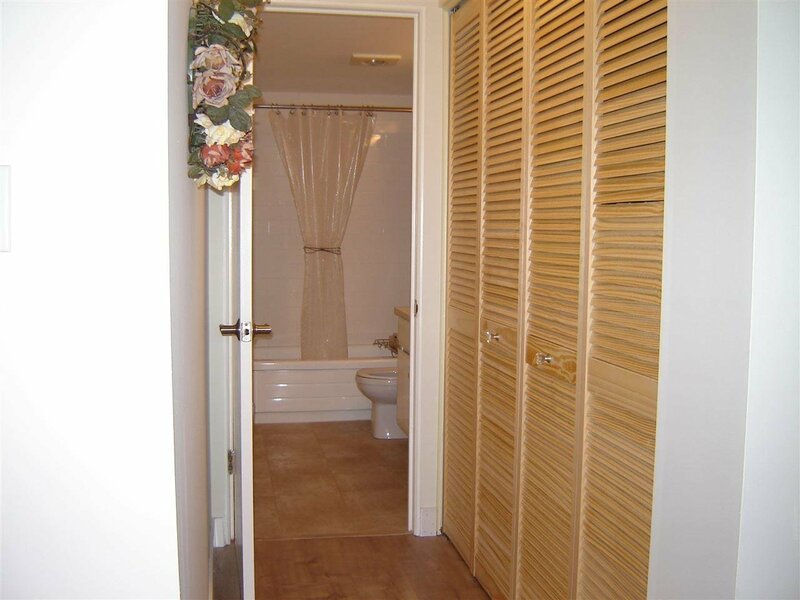 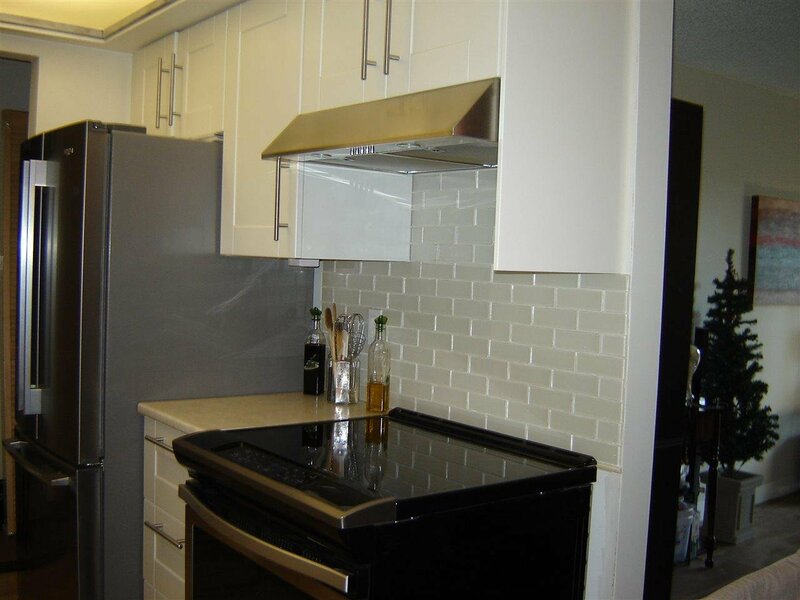 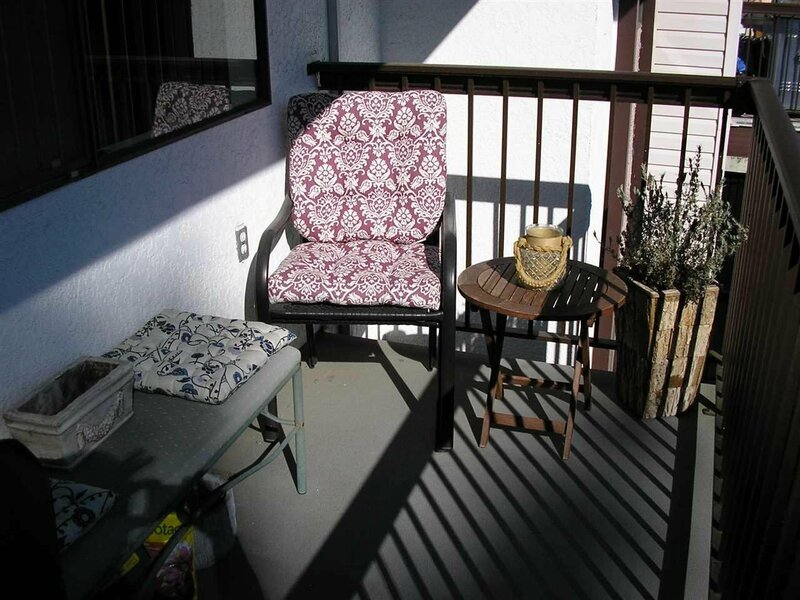 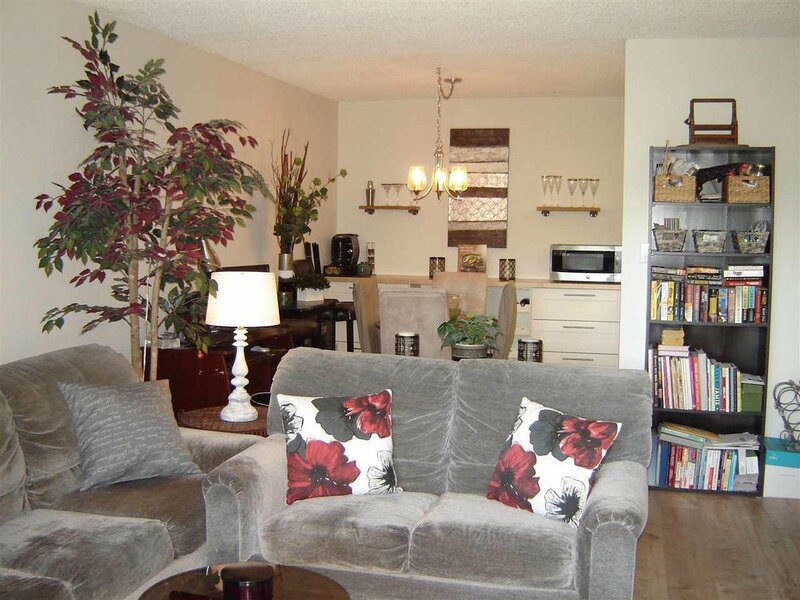 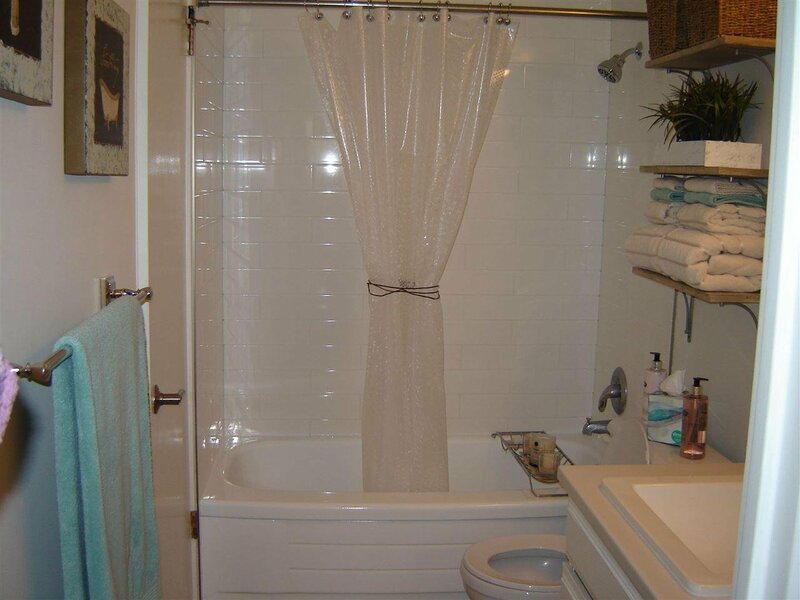 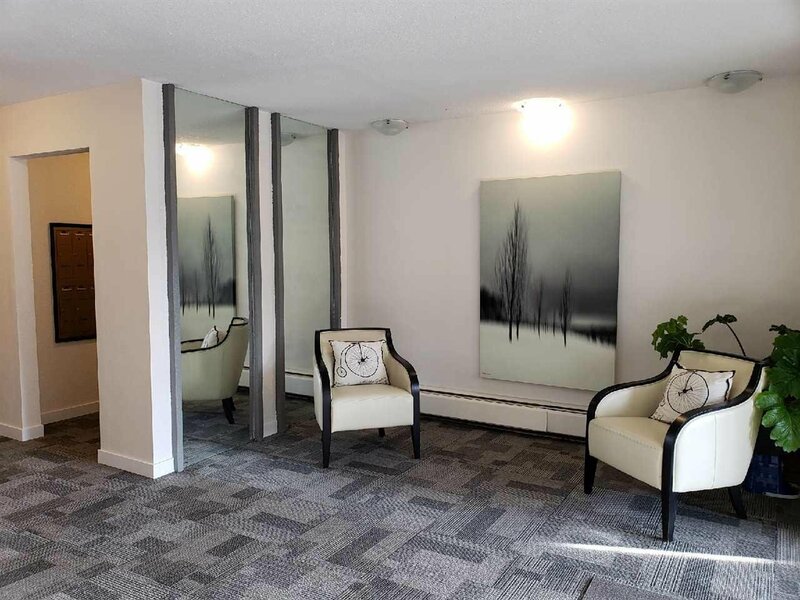 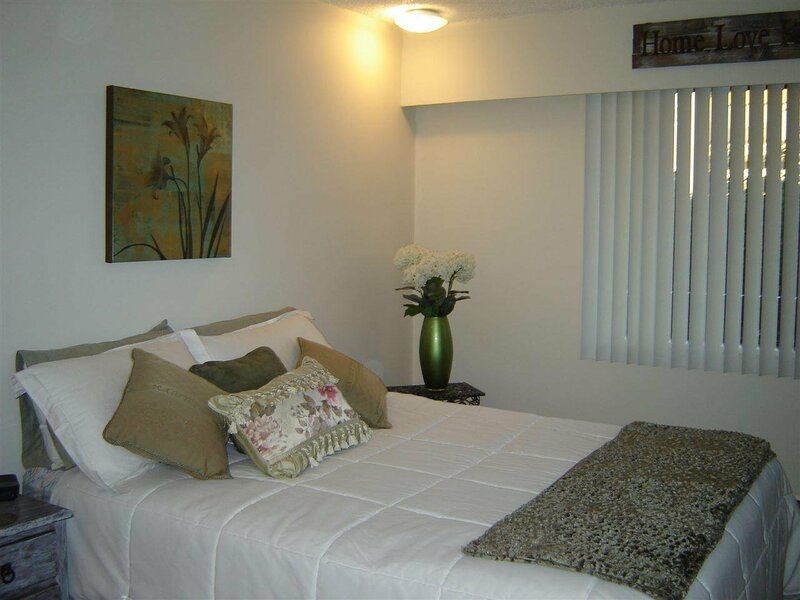 45+ adult occupancy only, pro active strata and low strata fees include heat and hot water.